Finding a reliable lawn care and landscape maintenance contractor that understands that the appearance of the property and how it is maintained is an essential part of increasing occupancy rates and maintaining good tenants. With an attractive curb appeal from Tropical Gardens Landscape, your apartment complex will be attracting desirable tenants while creating an inviting living environment for your existing ones. Our apartment property maintenance services will give your community an attractive and relaxing environment that make your units easier to lease, and increase the flow of potential tenants. We know that your landscaping services need to work with your overall maintenance budget. We work closely with our clients to create a grounds maintenance plan that meets your apartment communities requirements and budget. 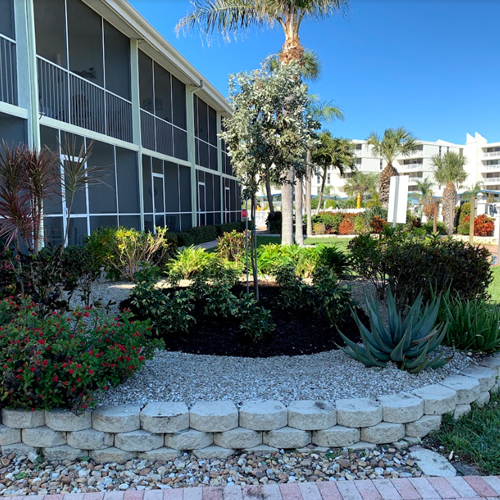 Call Tropical Gardens Landscape today so we can show you how our apartment complex lawn care and landscape maintenance services are better than the rest!